Where the internet was once seen as a bastion of privacy, online life today is quickly eroding our feelings of personal anonymity. Popular sites like Facebook have paved the way for people to delve into our personal lives like never before. From the sites we visit to the transactions we make, everything we do online relies on some form of anonymity – or lack thereof. 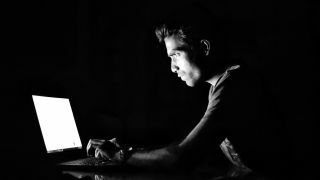 And while it may never be possible to be completely and utterly anonymous, there are several steps you can take to stay hidden on the web, and even some that can reduce the amount of spam and ads you’re often subjected to. Your browser knows a lot about you, including the sites you visited and the services you use. If you visit an unencrypted website (i.e. one that doesn’t include HTTPS in the URL), your network could also be exposed. That means usernames, passwords, and credit card numbers are openly visible and are at risk of being exploited. The script is automatically downloaded and run when you open the page, and details such as your IP address, ISP, browser, and even screen resolution can all be monitored. While this may help web designers to create better websites, it's also possible to trace IP addresses to a general geographic location without ever having to go near your ISP's logs. If you want to browse anonymously, you can start by reducing the amount of information your web browser is able to collect. Head to your browser’s settings menu and turn off automatic password storage; you can also browse in an incognito window if you’re worried about your browser logging the sites you use. You should also make a point of emptying your browser’s cookies every few weeks – or days. Because potentially personal information like web history, passwords, downloads and more are all kept in your cache, deleting your cookies helps reduce your digital footprint and keep your online logs to a minimum. If you want to go off the Google grid completely, you can look into private search engines like DuckDuckGo. While the service may not be as robust as Google, it typically offers the same results without the side-effect of keeping logs. There are also various anonymous browsers you can add to your arsenal to help maintain your digital privacy. Firefox, for instance, has taken great strides to improve user privacy and now offers data protection by default. Ghostery has also released a new web browser that automatically blocks trackers. And if you want to go a step further, you can employ useful (and free) browser add-ons like Disconnect and Privacy Badger to pick and choose which ads and scripts to block and which to allow. When it comes down to it, everything you do online can be traced to your computer’s IP address. This is the physical address that websites use to communicate with your network. Therefore, if you really want to browse anonymously, you’re going to need to hide your IP. Luckily, there’s an app for that. Virtual private networks (VPNs) help anonymize your location by masking your actual IP address while assigning a ‘virtual’ IP in another location. By connecting to an anonymous VPN server, you’re able to browse the web as if you were somewhere else. You can use them to anonymize your location, or you can use VPNs to unblock restricted content. Country-specific sites and services like the BBC’s popular iPlayer are only available to users in the UK. However, when you connect to a British-based VPN server location, you’re able to access iPlayer from anywhere. While VPNs have grown in popularity and are now incredibly easy to find, it’s worth taking the time to research which type of service you want. As ExpressVPN is our highest-rated VPN provider, we recommend starting there. Your email address is a big part of your online identity. It's also a valuable source of revenue for people whose business involves supplying spammers with live addresses. If the sites you register with aren't secure, hackers can access the database containing all the user credentials, and the email addresses are sure to be sold on. Sure, popular messaging services like Gmail use HTTPS and contain the SSL certificate used to authenticate and encrypt your messages, but that doesn’t mean they’re 100% private. Google’s even admitted to reading user emails to better target ads. And if you’re looking to use an email for only a short period of time, you can use a throwaway account to avoid these problems. These types of email accounts exist for only a short period of time – just long enough to complete a registration process. GuerrillaMail offers this type of service and is free and easy-to-use. Even if you’re not worried about the potential privacy implications associated with your email, you’re probably at least worried about spam. When you sign up for a site or service, you usually enter your email as a form of ‘cyber-remuneration’. Only later do you realize that by giving your email address you willingly opened the floodgates to all sorts of spam. While it’s worth having more than one email account (one designated for throwaway messages and another designated for work), signing up for an encrypted and anonymous email service is also recommended. ProtonMail is one of the largest and most popular private email services on the market. Headquartered in Switzerland, the privacy-focused email provider is free and user-friendly. The company simply asks for donations in exchange for the service. While it was once seen as the seedy underbelly of the internet, Tor has slowly made its way into the mainstream, and for good reason: it’s extremely anonymous. Also known as the 'onion router', Tor is a network of computers spread across the globe. When enabled in your browser, Tor redirects all your outgoing web traffic through this network. Each connection takes a random path and emerges at a random point. When it reaches the destination site, it appears that you're moving around the planet minute by minute. Note that Tor only makes your IP address anonymous, and it only works when you're browsing the web. Other types of traffic will pass straight from your machine to their destination.